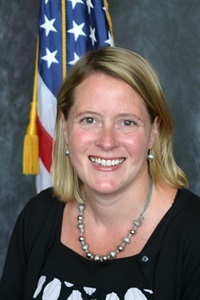 Jenna Ermold, Ph.D., is a clinical psychologist working as the Assistant Director of Online Programs for the Center for Deployment Psychology at the Uniformed Services University of the Health Sciences in Bethesda, Maryland. Her responsibilities include developing online training materials for behavioral health clinicians to improve competency in working with military members and their families. 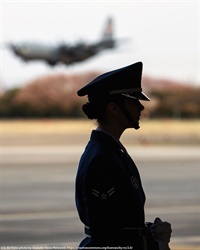 She is a graduate of the Malcolm Grow (USAF) Medical Center Psychology Residency Program and served on active duty as a psychologist in the United States Air Force from 2002 to 2006. Dr. Ermold graduated from Middlebury College with a degree in psychology and English and received her doctorate in clinical psychology from the University of Vermont. She specializes in health psychology, behavioral health integration into primary care, women's reproductive behavioral health, posttraumatic stress disorder and military psychology.